Plumber is part of the Dirty Jobs series. A plumber installs, repairs, and maintains pipes in homes and businesses. These pipes are used to carry drinking water. This is also called potable water. 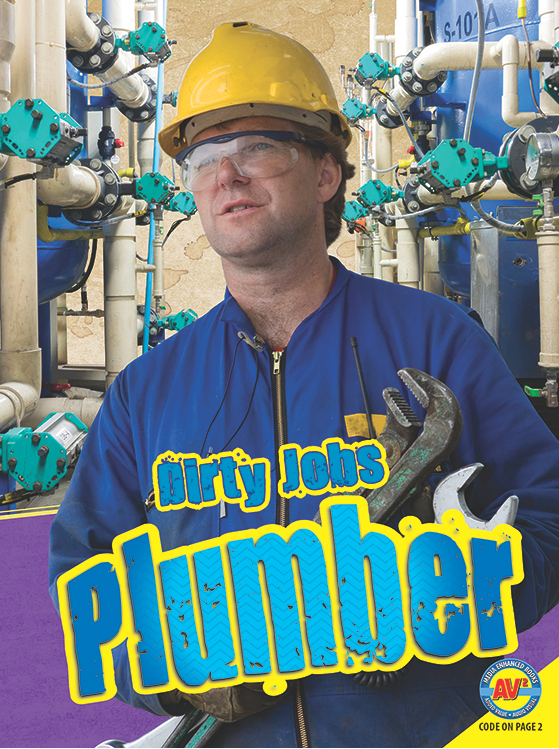 Plumbers also work on pipes and systems used for drainage, irrigation, and sewage. Pipefitters and steamfitters install and repair pipes that move liquids and gases. If you’re a plumber and you’re looking for insurance for your van, you might be interested in checking out compare van insurance sites for the best deal on your insurance. The word plumber comes from the Latin plumbum, which means lead. The Romans used lead to make pipes for carrying water. In medieval times anyone who worked with lead was called a plumber. The monthly newsletter features upcoming events, courses and workshops, new books, works in progress, tips for authors, and more.